At its March meeting, the FPC judged that “the risks around the referendum [were] the most significant near-term domestic risks to financial stability.” Some of those risks have begun to crystallise. The Governor was admirably calm and balanced in his press conference. But nevertheless there was a degree of schadenfreude about his remarks. Prior to the referendum, the Bank of England was severely criticised by the Leave campaign for scaremongering. It was accused of overstating the economic risk in order to support the Remain campaign. But it is already clear that the Bank's analysis was accurate, as least as far as the near-term risks are concerned. The principal risks identified by the Bank of England are threefold. Firstly, the financing of the UK's current account deficit is coming under pressure as inward investment flows slow down or reverse. Secondly, the UK's commercial real estate market - already overstretched and far too reliant on external funding - is suffering severe outflows and sharp valuation adjustments. And thirdly, over-indebtedness in the household sector raises the possibility of an aggregate demand shock and pressure on the housing market. Yippee. Maybe it is a little too soon to panic about the falling value of the pound. We often talk as if the current account deficit is caused by Britain's inability to produce enough goods for export. This is true to some extent: there is a structural trade deficit (blue bars), though this has reduced somewhat since the financial crisis. 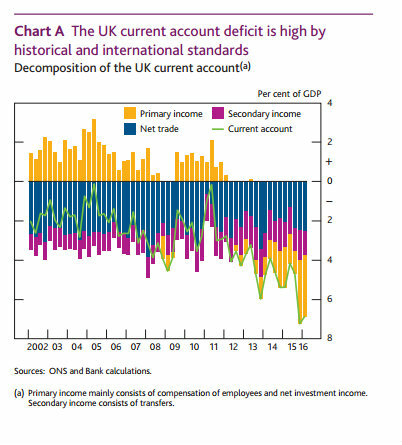 But the largest component of the current account deficit is primary income. The Bank of England notes that this is made up of compensation of employees (Brits working abroad cost us more than we receive for foreigners working here, despite what UKIP may think) and net investment income, which is the difference between the amount that Brits earn on their investments abroad and the amount that foreigners earn on their investments in Britain. The decline in credits over this period largely reflects continuing deteriorations in rates of return, which have fallen from a peak of 7.7% in 2011 to 5.0% in 2014, and have fallen further in 2015 to 4.8%. Annualised rates of return for Quarter 1 2016 indicate a further decline in the rate of return, having fallen to an estimated 3.0%. So the large deficit on primary income is due to poor investment performance elsewhere in the world - in particular, in Europe. Foreigners receive better rates of return in Britain than Brits do abroad. This is actually a sign of success. Our economy is doing better than theirs, so rates of return are higher - and that attracts inward investment. FDI and portfolio investment flows are very important to the UK. But they are also a risk factor. If foreigners suddenly withdrew their investments, there would be a sharp correction to the current account - what we know as a "sudden stop". As the UK issues its own floating currency, this would cause sudden sharp devaluation, with (since the UK is an import-dependent economy) obvious implications for inflation. Since the UK runs a sizeable government deficit, which (in the absence of a domestic private sector surplus) is financed by those inward investment flows, it would also cause a fiscal crisis. And it would additionally cause a private sector debt crisis, since the flows also finance corporate investments, notably in commercial real estate. In short, the UK is terribly dependent on external capital flows for its economic and financial stability. 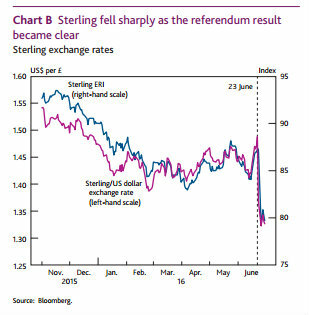 Hence the watchful eye on sterling and the worry about the current account. There is no sign as yet of anything as disastrous as a "sudden stop". In fact the fall in sterling experienced so far should be helpful to exporters (I have to declare an interest here - much of my income is in US dollars, so I have effectively had a pay rise!). But the absence of crisis does not make the shifting pattern of investment flows caused by the Brexit shock "beneficial". Closing a current account deficit by ruining the attractiveness of the economy to investors is not clever. How much of this can realistically be put down to Brexit fears is unclear. The chart shows bubble-like growth which might have corrected anyway. But this chart does suggest that the UK economy was already slowing long before the Brexit vote. There is clear evidence of significant capital outflow, which would eventually feed through into lower growth. So basically we have smacked an already cooling economy in the face. Someone please tell me why this is a good idea? But the vote itself has had a dramatic effect. Share prices of investment funds have fallen sharply. Closed funds simply have to weather the storm, though they might close their doors to new investors. But open-ended funds face damaging runs and the possibility of fire sales. Yesterday, Standard Life announced it was suspending trading in its open-ended CRE fund. And today, M&G and Aviva followed suit. Open-ended CRE funds are highly illiquid (it is not easy to sell office blocks and shopping centres at short notice), yet they offer redemption on demand to investors. This is maturity transformation on an even more extreme scale than banks, and these funds are consequently vulnerable to severe liquidity crises. Yet they do not have any form of liquidity support. Trade suspension is thus a necessary circuit breaker, and it is built into the terms and conditions of the funds. It is roughly the equivalent of a bank closing its doors to stop a bank run. There is clearly going to be a severe correction in CRE prices. How damaging this will be to the economy depends on the impact on banks. 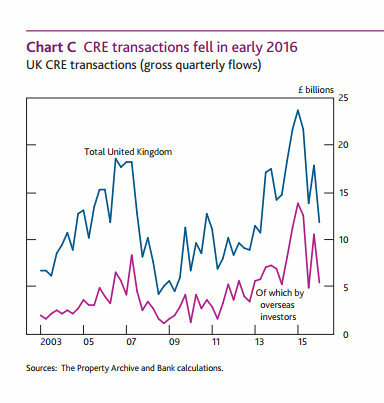 Worryingly, it appears that UK banks - particularly smaller ones - are significantly exposed to CRE. But the Bank of England insists that it has covered all bases in its stress tests, so the banks should be able to absorb CRE losses without falling over. We shall see. 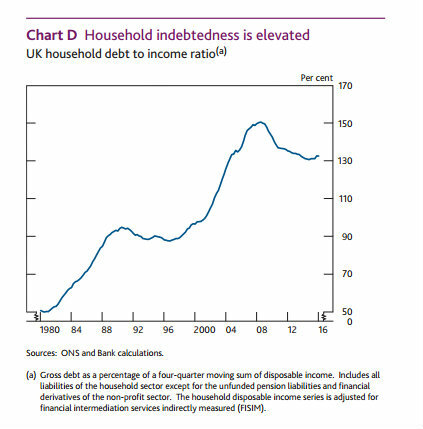 The Bank of England observes that highly-indebted households tend to cut back spending very hard when their incomes fall, preferring to honour their debts at the expense of their lifestyles. This can seriously reduce aggregate demand. And buy-to-let investors faced with interest rate rises may choose to sell out, causing house prices to fall and worsening the position of marginal borrowers. There is a risk of a self-reinforcing debt deflationary spiral developing, though tighter lending restrictions imposed in recent years may help to dampen these procyclical effects. The market is already pricing in interest rate cuts, though the Governor refused to be drawn on what form these would take: he dislikes negative rates, not least because of the risk they pose to building societies, so maybe the preferred instrument will be some form of QE. 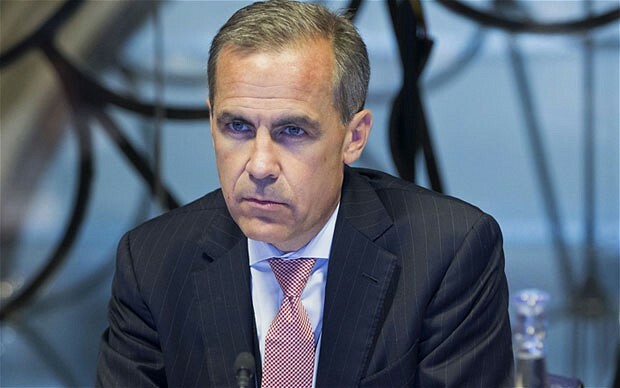 And the Bank of England has relaxed countercyclical capital buffer requirements for banks to encourage them to keep lending - though the Governor admitted that demand for loans would probably fall. But realistically the Bank cannot entirely protect the economy from the toxic combination of over-indebtedness and the Brexit shock. As the Governor said, all the indicators are that the UK faces a significant downturn. We are seeing falling stock prices on the FTSE 250 (though not the globally-focused FTSE 100), downwards pressure on gilt yields and a flattening yield curve. These are leading indicators of recession. To be sure, the UK might have been facing a slowdown anyway. But if so, the Brexit vote will make it much worse. However, recessions don't last forever, and it is entirely possible that once the UK is completely disentangled from the EU, investment will return and the UK will come "roaring back". But how long this will take is impossible to tell. The patient won't die, but it could be decades before it is fully recovered. In the long run, Britain may once again become a vibrant, world-beating economy. But as Keynes said, in the long run we are all dead. Particularly those who voted for this wholly unnecessary surgery, who are by and large the old. They will die: but the young will bear the scars. "The Bank of England notes that this is made up of compensation of employees (Brits working abroad cost us more than we receive for foreigners working here, despite what UKIP may think)"
That compensation of employees is not exactly that. Brits working abroad are residents of the place they are working. The item is for things such as an American working at the British embassy in America. British embassy in the US is part of the UK region. However it employs people who are residents of the US. So "compensation of employees". I think this also includes certain types of temporary workers, like seasonal workers. In any event this item makes up less than 1% of primary income flows. Do you think there is a connection between foreign earnings from exporting to the UK and foreign spending on London property. As you yourself note: there was a giant bubble before Brexit, which was already starting to show signs of deflating/popping. So what should the Bank of England (+ govt) have done, several years ago? Obvious: stop the bubble from growing to dangerous levels. What did they do? The opposite! They actively intervened to blow additional air into the bubble through QE, through supporting first time buyers, through policies for attracting foreign 'flight-to-safety' capital. That makes it completely ridiculous to start claiming 'victory' over having predicted the consequences of Brexit. These consequences were created by blowing the bubble! Of course they knew the bubble would pop, the BoE actively co-created the asset bubbles! And Brexit is now doing what govt + BoE should have done: reset housing prices in London to more long-term affordable and stability enhancing levels, bring the Pound more in line with a proper valuation (anyone travelling through UK + Ireland + NL/Germany could see the pound was ridiculously overvalued at 1.40 to the Euro). They should be thoroughly ashamed, humble and saying 'sorry' for messing up so completely. Start with admitting the mistake of excluding house prices + cost of acquiring pension savings from measuring inflation. Start with admitting the QE support of asset prices went way over the top and should have stopped as soon as asset prices were stopped from falling below long-term fundamental value-trends. Yes that will hurt homeowners that borrowed to the max, but at least it is honest, and it is long overdue. Don't blame Brexit, blame the ones inventing the Giant Bubble-gum. I read in a book by Krugman et al that depreciation causes current account improvement though it can take a bit of time and also there are qualifications to the improvement depending on complex things like the Marshall and Lerner rule on import quantitities and values. But you mention primary income does the depreciation not also improve that part of the current account. My other point is why did British business not pull out of Europe if there returns were so poor since 2008. You are to be congratulated on taking this subject on in some detail and also your payrise. An expat paid in pounds sterling living and working abroad is in the opposite situation to you. Quite painful really. It is probably better to avoid Krugman. He is well past his sell by date. The UK rarely gets through a decade without wild and sudden devaluations of the currency. It is the short term "Get Out of Jail Card". 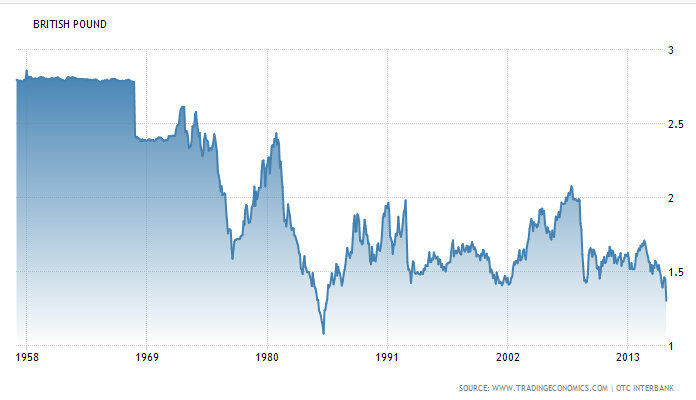 The GBP is still, even, now considered to be overvalued. If folks read Krugman, Obstfelt and Melits on International Economics then they might not be doing so much handwringing. I get the impression that many remain economists have thrown the text books out of the window instead of going back to the lab and working things out. They can take Krugman on, if they want, but they might come out of it very mauled. He has the advantage of being an international economist who knows plenty of macro whereas many are just domestic macro people who don't know much about the international side. But my main point is that the IMF last year said the pound was overvalued by 6 to 15 percent. The IMF now includes Obstfeld, one of Krugman's co-authors. It isn't any more so we will see what that does to improve the situation. Anyway my questions on the current account weren't answered so may be I should ask Prof Krugman. Depreciation does cause current account improvement. Including primary income. But sterling would have to fall a lot more to close the deficit, and there are other costs from that - notably inflation, and as you say pain for people living and working abroad. I'm not very into hydraulic balance of payments theory ("if we devalue the pound, exports will rise and imports reduce"). It is a lot more complicated than that, especially for an economy which is dependent on imports, notably energy. If the cost of essential inputs to production rises, then any benefit from depreciation is wiped out. I've made this point previously. AEP this week, commenting on the same BoE report, is much more upbeat about the prospects post Brexit-fiasco. The UK politicians were getting very complacent in their seats. They have now received a firm kick on the backside. Once the UK again has a competent leader, and Theresa May is my favourite, I am also positive that the sky will remain where it is. I'm going to sound like a broken record, but can we see "Chart D" in cost of servicing to income terms? - UK gov (including BoE) will certainly be more Keynesian than in the baseline scenario. - If the shell shock effect works on helping fix or at least improve the institutional setup of the Eurozone, this is good for everybody. - There's an EU private sector stimulus from some private activity moving to the EU (both firms and workers moving to the EU or not coming to the UK). While this is negative for the UK first order, it's neutral globally, which is good for the UK. - Broken windows stimulus effect: all the negotiators/lawyers/private compliance required will increase (world) GDP some (though it will also shrink the pie of real stuff first order). - How much CRE will really go down is not obvious to me. The bulk of UK commercial property is on long inflexible leases (structural reforms anyone? ), so some of the yield chasing purchasing power may come back sooner than later (in that scenario the redemption suspension mechanism functions as a shock absorber). Hmm. Lots of ifs, buts and maybes here. Yes, if the new UK government drops the insane austerity, then that might offset the Brexit shock. But it's going to be a Tory government, so don't hold your breath. BoE is pretty Keynesian already: I expect more monetary easing, but we've played this scene too many times before now. I am unconvinced that UK government action will be sufficient, and the BoE's toolkit has serious limitations. - Yes, if the shock forces the EU to sort out the awful Eurozone setup that is good for everyone. I am not convinced by this, either. - Activity moving from UK to EU is not necessarily good for the UK even though it is globally neutral. To suggest that it must be, is the fallacy of composition, I am afraid. - The stimulus from the broken window effect is entirely illusory. All the surgeons needed to separate Britain from the EU are fundamentally unproductive. They could be doing much better things with their time. Next time someone says "just look at all the work this creates for lawyers", I am sending them Flanders & Swann singing "The Gas Man Cometh". - CRE was a disaster waiting to happen and I for one am not sorry to see the bottom fall out of this particular market. It exhibited all the characteristics of an unstable bubble. Would have corrected eventually anyway, possibly a lot more disastrously. On activity moving, some is doomed to come back as exports, and some as free capacity, that's all I meant to say. Still net negative for the UK probably, but perhaps not by as much as expected, as if people/companies who move out completely disappeared from planet Earth. I doubt there will be a major commercial property correction. I just had a look at property investment trust prices: the discounts are about 10-20%, and that's likely calculated on pre-Brexit NAVs as property isn't priced daily. If prices drop by that sort of amount -- which is pretty safe -- there's no discount left, so no distressed pricing here. In a property crash ITs go to deep discounts. So either the market is wrong (and we should all be short property ITs) or there won't be a major correction (however desirable that may be for other reasons). The open-ended fund closures may be a misleading indicator here, it may be that the first guy pulled the trigger preventively, and once one has done it and it's news, the others have to follow for obvious reasons, regardless of the scale of underlying pressure. Re broken windows, I thought I recalled a post where you were a fan from a few years back, but can't find it now (indeed found the opposite). Of course it's not productive in aggregate, but it can be better than nothing as a counter-cyclical tool, and by definition here it's a short-term measure given it's a one off task and these folks will be available again when they're done, and in the meantime they'll spend (some of) their income in the real economy. Heh, I've never been a fan of broken windows! I wrote a post called "broken windows, broken lives", but that was about my mother's dementia. That said, I am something of a fan of short-term unproductive labour. I think I wrote about Sharp's Folly, which was a tower built by a clergyman to keep local stonemasons occupied and stop their skills falling into disuse. You could regard this as training, though. This is a bit dated on primary income(2015). It hangs a lot of the problem on Oecd ex countries and particularly Holland and Luxemburg as well as specific industries.